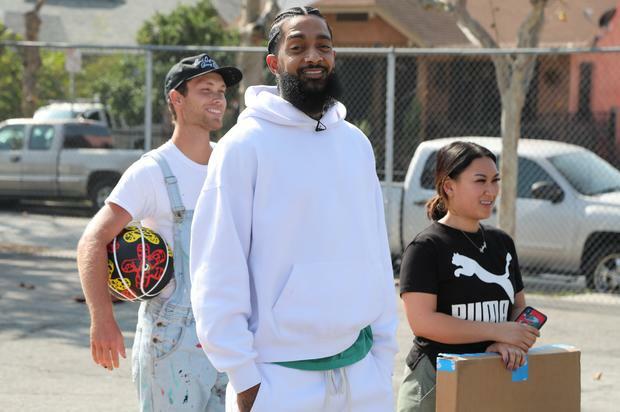 Details about Nipsey Hussle’s memorial service were announced earlier today. “Nipsey Hussle’s Celebration Of Life” is set to take place at the Staples Center in Nipsey Hussle’s hometown of Los Angeles this Thursday. Nipsey’s family confirmed the news today before Staples Center shared details about the memorial service on their website. “Out of respect to the family, cameras and recording devices will not be permitted inside the venue. You may be asked to leave the event if you are found recording or taking photos,” it reads on the Staples Center website.